President Donald Trump calls the purveyors of fake news the “enemy of the people,” but that label also belongs to those who say they’re American but at the same time claim political adherence to socialism,” a columnist wrote. “Socialists are the enemy of America, the antithesis of the American dream, the bold-face opposers to all that the Founding Fathers represented – to all that patriots over the long, sometimes bloody decades have fought to preserve,” Cheryl K. Chumley wrote for The Washington Times on Nov. 20. Memo to self-declared socialist Rep.-elect Alexandria Ocasio-Cortez: “A pretty smile doesn’t change that fact. An engaging personality doesn’t change that. A pretended compassionate concern for the working guy doesn’t change that, either,” Chumley wrote. 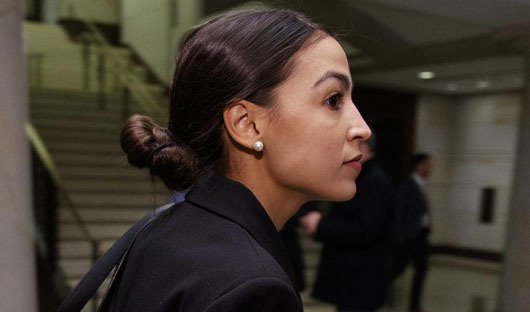 Ocasio-Cortez, New York Democrat, said that instead of standing at the ready to go public with all her mistakes and missteps, [critics] ought to instead ‘actually step up enough to make the argument they want to make,’ ” Chumley noted. “It’s an abomination to the Constitution, it’s an affront to the brave patriots who risked all to fight the tyrannical king of England, it’s a face-slap to the scores and scores of military members and families who gave everything for the cause of individual freedom and it’s a stomach-churning, spit-inducing ‘diss to the millions upon millions who’ve fought in their own quiet ways to keep America the land of the free,” Chumley wrote.